The turbulence and volatility in Alberta’s political culture is not new but the hyper-partisanship and perpetual campaigning adds to the heat but not to the light. 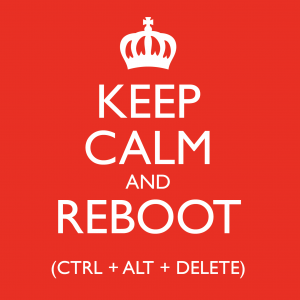 Rebooting a computer is done by typing CTRL-ALT-DEL. Rebooting Alberta is going to about helping progressive citizens to actively partake in changing our toxic political culture. That means taking back Control of our democracy, creating an Alternative to the outdated Left versus Right political paradigm and Deleting the destructive hyper-partisan politics that disengages the rest of us. In the Internet Age, political information has never been more available and accessible… and complex. Paradoxically, citizens have to work harder than ever to be truly informed. More citizen engagement is needed for democracy to work. Citizens have to be more intentional and conscious about selecting and supporting a candidate and/or a political party. Then there are on-going citizen’s efforts about finding effective ways to influence policy and issues that matter to them at election times and beyond. I am looking forward to your comments and encourage you to share this site with other progressive Albertans in your family, community and your other networks. Looking forward to a discussion on issues rather than upon personalities. To aknowledging facts and to developing responses to those facts that may differ but are based upon a vision of Alberta rather than a denial of an different vision. Thanks for the Comment Tom. We seem to focus so much attention on political leaders and concentrate so much power in them it is hard not to personalize our political focus on them. When you have a fellow like Mr. Kenney, who signs a “Grassroots Guarantee” intended to reassure his respect for party members input into policy, and then reneges saying he “holds the pen” when it comes to UCP policy, it is worthy of comment If he treats his supporters that way what is in store for the rest of us should he become Premier? That is not an ad hominem comment. It’s a legitimate observation on issues of political integrity and trustworthiness.